The Robert W. Woodruff Foundation has pledged $400 million—the largest gift ever received by Emory—to find new cures, develop innovative patient care models, and improve lives while enhancing the health of people in need. The gift will fund a new Winship Cancer Institute Tower in Midtown and a new Health Sciences Research Building (HSRB) on the main university campus. "This is an extraordinary gift at an extraordinary time in Atlanta's history," said President Claire E. Sterk. "The legacy of Mr. Woodruff lives on, and even today, his spirit of generosity is creating hope for those facing the most difficult days of their lives." For many decades—at each phase of Emory's growth and development—the Robert W. Woodruff Foundation has served as the university's chief advocate and partner, transforming health care, supporting education, and making greater quality of life possible for patients who pass through Emory's doors. The Winship Cancer Institute Tower in Midtown will provide urgently needed infusion facilities, operating rooms, clinical examination rooms, and spaces for rehabilitation, imaging technology, and clinical research. The new HSRB will house faculty and staff charged with developing a pipeline of cures, interventions, and methods of preventing disease. Interdisciplinary research teams will target five priorities: brain health, cancer, heart and vascular health, immunology and infectious diseases, and radiology, biomedical engineering, and imaging sciences. In a continuing partnership with Children's Healthcare of Atlanta, Emory researchers in the new building also will focus on discoveries that advance treatments and cures for pediatric patients. 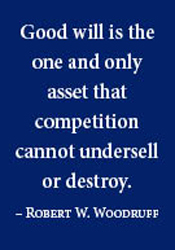 Robert W. Woodruff, the late legendary leader of The Coca-Cola Company, became a major benefactor of Emory beginning in 1937 when he donated $50,000 to establish what is now called the Winship Cancer Institute. 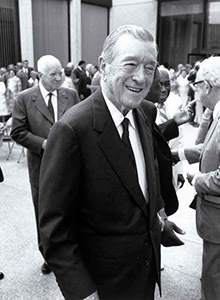 In 1979, he and his brother, George, gave Emory the then-record sum of $105 million, the first nine-figure gift to an institution of higher education. Read more. Beginning this month, students at Hollis Innovation Academy in northwest Atlanta have easy access to dental care through a program created by Emory and Grady clinicians, thanks to a new dental exam room in the school's health clinic. The dental room and its staff—a dental hygienist and dental care coordinator—are part of OH I CAN (Oral Health in Communities and Neighborhoods), aimed at increasing access to oral health services for low-income families. Hollis's 800 PK-8 students live in English Avenue/Vine City, an area with one of the highest poverty rates in Atlanta. They also reside in one of three zip codes with the highest oral cancer rates in the city. 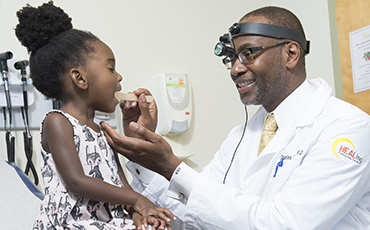 Emory otolaryngologist Charles Moore confronts this reality daily in his otolaryngology practice at Grady, where patients often forgo treatment until their cancer is well advanced. Moved by their plight, Moore founded the HEALing Community Center in West Atlanta in 2011, which provides primary, specialty, and dental care to patients, who pay on a sliding scale. In 2016, Moore partnered with Hope Bussenius (nursing) and David Reznik (Grady dentist and Emory adjunct infectious diseases faculty) to develop OH I CAN. The project earned them a spot in the Clinical Scholars national leadership program, sponsored by the Robert Wood Johnson Foundation, which provided project funding. OH I CAN seeks to reduce oral health disparities in Atlanta by integrating dental and primary care services, as the health clinic at Hollis now does. Students there have their teeth cleaned and receive other preventive care, and those with cavities and other problems are referred to a dentist at the nearby Neighborhood Union Health Center. "Eventually, the clinic will see adults from the community as well," says Moore. To capture patients' dental histories in such settings, Bussenius developed the newly launched OH I CAN app, with versions tailored for children and adults. Users—children's parents and adult patients—answer questions on a tablet to create an oral health impact profile that is saved to a data registry. "Some patients are uncomfortable talking with a provider about their oral health," says Bussenius. "They may be embarrassed about having oral health problems. The app is easy to use, and the information is confidential. The provider will be able to use the data to assess patient needs and provide care." Bussenius also is developing an OH I CAN website including medical and dental facts, research information, and oral health care training data aimed at advanced practice RNs (APRNs) and physicians. "Although nurses are involved extensively in primary care services, oral health should be more on our radar," says Bussenius, who has worked with vulnerable populations from rural Georgia to Haiti. "Nurses can play a larger role in preventive oral health care and early intervention. "We know how to assess the oral cavity," she says. "And when we identify cavities, lesions, and abscesses, our next step usually is referral. But a high percentage of patients do not make it to a dentist when they are referred. If the patient can at least get to primary care, we can meet their basic oral health needs and not rely on the instant referral that we've been doing." In the coming year, OH I CAN leaders will focus on updating protocols in oral health care for nurses, primary care physicians, dentists, and dental hygienists at the state level. New nursing protocols, for example, would enable APRNs to provide basic preventive care—including oral hygiene instructions, oral cancer screenings, fluoride treatments, and appropriate referrals—in primary care settings. "Those protocols strengthen our ability to provide quality care for patients," says Bussenius. Legislation also helps. Last year, the Georgia General Assembly passed a law allowing dental hygienists to practice without direct supervision of a dentist in certain settings. Hygienists thus are able to clean teeth and apply fluoride treatments and dental sealants in private practice and "safety-net settings" such as schools, rural clinics, and federally qualified health centers such as the HEALING Center led by Moore. Effective January 1 this year, the new law now makes dental care possible at Hollis Academy. Reznik is among those who advocated for the new law. In time, he would like to see more dental trainees work at Hollis and other sites in Atlanta. Long term, the OH I CAN team would like to introduce their model in urban and rural communities across Georgia. To learn how sooty mangabeys can harbor SIV and still avoid AIDS-like disease, a Yerkes-led team has sequenced the sooty mangabey genome. By comparing it with the genome of humans and other nonhuman primates, they have found clues that may help people with HIV. The results were published online in Nature on January 3. Led by Guido Silvestri, chief of Microbiology and Immunology at Yerkes and a Georgia Research Alliance Eminent Scholar, the scientists say this is the first example of inter-species genome analysis for identifying and validating genes that may regulate an important disease process. "We are taking advantage of an evolutionary experiment that took place over many thousands of years, showing how it is possible to be infected with SIV and not progress to AIDS," says Silvestri. The researchers found two big differences in proteins of the immune system in the sooty mangabey genome. One of these is alteration of the TLR4 protein, which impairs its function. In sooty mangabeys, a less active form of TLR4 may reduce immune activation in response to SIV infection. 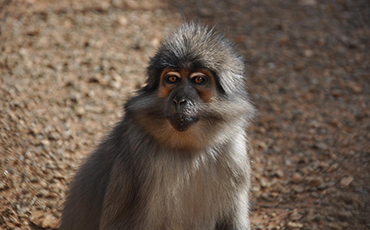 The TLR4 alteration was shared in the genomes of sooty mangabeys and other natural SIV hosts, such as vervets, drills, and colobus monkeys, but was absent in non-natural hosts, such as macaques, suggesting some evolutionary advantage. 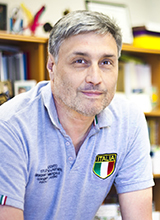 In previous work, Silvestri and his research team compared the immune systems of sooty mangabeys and other natural hosts with HIV-infected humans, including viremic non-progressors, a unique group of patients that avoids HIV-related disease. The current study expands on that research by being the first to compare whole genome sequencing and identify pathways that may confer resistance to AIDS. "It's a really exciting time in AIDS research," says Steve Bosinger, who directs the Yerkes Genomics Core. "With the Berlin patient, who is the only person to have been cured of AIDS, we've seen HIV cure is possible. Sooty mangabeys and other natural hosts have for years served scientists as a roadmap to AIDS therapies, but we've only been able to look at small pieces of the map at a time. Now, by examining the entire genome of these species, we believe we can accelerate discoveries that make a difference in the fight against HIV." Read more. CORE leadership team, l to r: Kate Pettorini, Virginia Shaffer, Michele Sumler, Darlene Mashman, and Joe Sharma. The operating room is a fast-paced, high-risk environment, and when something goes wrong, the results can be devastating. Sharon Muret-Wagstaff is enabling surgeons, nurses, and anesthesiologists to handle unexpected emergencies that might arise through a program she and an interdisciplinary team developed. 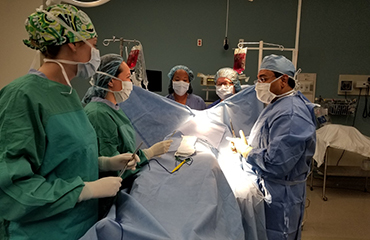 The Co-management of Operating Room Emergencies (CORE) Simulation Program is a cooperative effort of Emory's departments of surgery and anesthesiology and the patient care and nursing services of Emory University Hospital. Each month, a team of surgeons, anesthesiologists and nurses converge in a highly realistic, simulated OR to encounter three different scenarios. After each 15-minute scenario, they spend about 30 minutes debriefing, discussing lessons learned, and how those might be translated into action. Teams may tackle anything from a power outage to a rarely-seen surgical complication. 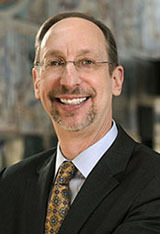 "We prioritize and update scenarios by consulting Emory quality committees, past adverse events, closed-claims analysis, the Stanford Emergency Manual, and literature from health care, aviation, and other high-stakes industries," says Muret-Wagstaff, director of CORE at Emory's Carlos and Davis Center for Surgical Anatomy and Technique. "Some examples include hemorrhage, malignant hyperthermia, oxygen failure, transfusion reaction, venous air embolus, and advanced cardiac life support events." Muret-Wagstaff seeks out timely clinical opportunities for improvement. "When our nurses received a safety alert on noise distractions," she says, "we immediately ran a scenario about this to give us ideas about how to make people feel empowered to ask others to quiet the room." 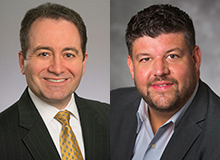 performance in preventing and managing adverse events, but the CORE faculty have experienced the benefits firsthand. Virginia Shaffer, a colorectal surgeon, has observed and debriefed most of the simulations as one of the CORE faculty members. One such scenario involved an uncommon and complex crisis called PEA (pulseless electrical activity), during which the patient loses his pulse and stops breathing. A few weeks later, during an actual surgery, Shaffer's patient went into PEA. "Although I knew this was real, in my mind I felt very calm and knew exactly what I needed to do, thanks to observing that scenario in simulation. Of note, the patient did very well." 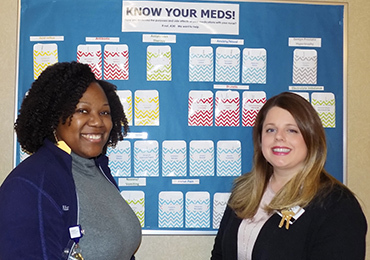 Medication reconciliation assistants Alishia Davis and Erin McCollum are members of a first-place winning team at Emory Johns Creek Hospital. - Emory Johns Creek Hospital for "Medication Reconciliation: New Workflow Strategies to Improve Patient Safety by Reducing Pre-admission Medication History Errors"
David Murphy (director of research for EHC's Office of Quality) and Jason Atkins (chief nursing quality and information officer) co-led Emory's other team that won first place in the awards. - EHC's Healthcare-Acquired Condition Quality Acceleration Team for "Reducing Hospital-Acquired Infections Across a Health System"
In addition, EUH Midtown received second place for "Cultivating a Culture of Teamwork and Safety through Implementation of a Hospital Daily Safety Huddle." Emory Healthcare and EUH Midtown also received "Circle of Excellence" recognition, given to those who received both a 2017 award and three or more PHA awards in the past five years. More info. Few people in Atlanta's history have made such a lasting impact as Robert W. Woodruff. It was largely his vision, leadership, and generosity that made Atlanta a dynamic, world-class city with a highly diverse and rapidly growing population. For nearly 50 years, Mr. Woodruff's commitment to transforming health and healing in Atlanta and beyond was evident in his ongoing generosity in support of building a premier education, research, and patient care center here at Emory. Since his passing, the Robert W. Woodruff Foundation has maintained his extraordinary vision through a series of generous gifts, which have empowered us to make unprecedented strides in all three of our missions. And now, the Foundation has pledged $400 million—the largest gift in Emory history—to help us save and improve more lives than ever before. Words cannot convey the depth of our gratitude for this gift, which allows us to embrace Mr. Woodruff's vision and wisdom and to extend our life-saving and life-affirming work on behalf of all the people we serve. This 22nd report of the Blue Ridge Academic Health Group explains the urgent need for understanding and defeating burnout in health professionals. This phenomenon is becoming a crisis, with staggering costs in lost productivity, eroding quality and safety, diminished patient satisfaction, staff turnover, and dollar costs estimated to be as high as $150 billion a year in the U.S. for physician burnout alone. Read The Hidden Epidemic: The Moral Imperative for Academic Health Centers to Address Health Professionals' Well-Being. See Blue Ridge website and a list of previous reports. In case you missed it, the Emory Sports Medicine Complex opened to patients in early December. The complex is a joint project between Emory Healthcare and the Atlanta Hawks Basketball Club. In addition to sports medicine and physical therapy facilities, the complex includes the Emory Healthcare Courts, the official practice and training facility for the Hawks. Read more. Watch a video about the complex. Anne Spaulding (epidemiology at Rollins and infectious diseases in medicine) is leading a multi-institutional team that has received $1.2 million from the National Science Foundation to study elimination of hepatitis C virus (HCV) infection in the U.S. HCV causes more U.S. deaths than 60 other infectious diseases combined, including HIV and TB. Read more. After months of planning and construction, the newly renovated Asbury Cafe—formerly known as Asbury Court—opened this month in Emory University Hospital's original building on the west side of Clifton Road. The redesigned facility offers several new menu options, with a focus on local, sustainable items. See more details on Asbury Café, as well as selections for Asbury Express (formerly named Bishop’s Pantry). Hyojung Choo (cell biology) received the 2017 Woodruff Scholar Early Independence Award, which comes with $50,000 to support her research, including a new collaborative project to investigate the role of muscle in ALS. Ray Dingledine, former chair of pharmacology, will receive the 2018 Robert R. Ruffolo Career Achievement Award in Pharmacology from the American Society for Pharmacology and Experimental Therapeutics in April. Read more. Monica Farley (infectious diseases) recently was named the first holder of the Jonas A. Shulman Professorship in Infectious Diseases. Read more. 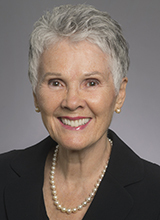 Mary Gullatte, Emory Healthcare corporate director for nursing innovation and research, has authored a new book, 21st Century Nursing Leadership. Read more. 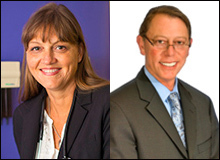 Jonathan Langberg (cardiology) and Barbara Rothbaum (psychiatry) have been named fellows of the National Academy of Inventors. Read more. Amy Langston is the new medical director of the Winship Cancer Network. Read more. The January issue of Georgia Trend magazine names Emory President Claire E. Sterk and EVPHA Jonathan S. Lewin among the 100 most influential Georgians for 2018. Read more. Walter Orenstein (associate director of Emory Vaccine Center and professor in infectious diseases, global health, and epidemiology) has been named a Fellow of the American Association for the Advancement of Science. Read more. Tammie Quest, director of the Emory Palliative Care Center and Montgomery Chair in Palliative Medicine, has been named one of the 30 most influential leaders in hospice and palliative medicine. Read more. Mi-Kyung Song has been appointed as an Edith F. Honeycutt Chair in Nursing, for her significant contributions to nursing practice and education. Read more. Feb. 22-23: Georgia Clinical & Translational Science Alliance Statewide Conference. Chateau Elan, Braselton, Ga. More info. Feb. 23: First Annual Musculoskeletal Research Symposium. 8:00-5:00, Emory Conference Center Hotel. RSVP required. More info. May 9: 5th Annual Health Services Research Day. 8:00-3:00, SOM auditorium 110. More info.